“When we held the Valmy Conference in May 1958 much discussion took place about the Self and it occurs to us that readers of this Newsletter might like to exchange any relevant ideas they come across during the course of their work or reading. So, if you find anything of significance please share it. Assagioli on his own experience of the Higher Self and Superconscious, when he was in jail. “A sense of boundlessness – of no-separation with all that is, a merging with the self of the whole. First an outgoing movement, but not towards any particular object or individual being, an overflowing of effusion in all directions, as the rays of an ever expanding sphere, a sense of universal love. Compassionate love towards the inmates of my prison and towards all prisoners, inmates of hospitals and asylums. Tender love to the members of my family. Brotherly love towards my friends. But all these qualifications remained always within the whole, as parts of the identification with the whole of Reality, of Life, as sections of the Universal infinite Sphere. “A clear and full experience of the self gives, at first, such a strong sense of self-identity that it is felt as something sure, permanent, unchangeable, and indestructible. It is realized as such an essential reality that all other experiences and so-called realities appear, when compared to it, as changing, impermanent and of less value and significance. Such a realization is accompanied by a sense of inner independent, self-relying security, which is deeply satisfying and gives rise to a feeling of peace, serenity and quiet joy. Another characteristic belonging to the realization of the self is power. It is a sense of concentrated power at rest, yet ready to express itself dynamically either in the mastery over all elements and forces of the personality or re-use in creative activity. This explains why the majority of people (some psychologists included!) have never had the opportunity of becoming acquainted with their own self, and thus they tend to doubt, and even to deny the existence of the self. But there are some who under exceptional circumstances, or as the result of their own efforts, have attained to that higher consciousness and have acquired a profound and unassailable certainty of the existence of the real Self, of the Soul. Indeed, one proof of the existence of the real self, is given by its activity. The law which governs the association of ideas, the mechanical action and reaction on one another of the various psychological factors are quite insufficient to account or the higher operations of the soul. Reasoning, constructive imagination, moral judgment, choice, sets of will, imply an activity which is synthetic, directive and creative. But this activity is not displayed in the everyday self; in the light of ordinary consciousness, we become aware only of its results and fruits. The poet who feels an unknown force dictating within his inspired verses, the mystic to whose rapt and astonished consciousness are revealed the power and grandeur of the soul that loves and wills the highest good, the patriot who hears the voice of conscience imperiously pointing the way to sacrifice for his defense of his country: all those who have felt an inner force operation on their ordinary consciousness, a force which is at one with their highest aspirations, with there most individual feelings, do recognise that it is an emanation from the real “I”, a manifestation of the true self. If we reflect upon that mysterious Being in ourselves, and on its wonderful powers, the ancient inscription of the Delphic Oracle, “Know Thyself”, requires a new and deeper meaning. The discovery of this inner Center, gives us the strong basis on which to reconstruct our personality. It gives us the light, the wisdom to plan and perform this task; it equips us with the power to achieve synthesis. “In genuine expansion of consciousness, there is no complete loss of self-awareness of the spiritual Self as center. It can be compared to a sphere which can expand indefinitely; but the Center of the sphere remains. There is the paradoxical impression of not losing oneself, but being more oneself, while losing the empirical limitations of the ego. It is a synthesis of individuality and universality. The individual feels identified with the universe, but there remains some awareness that he is identified with the universe. G.C.T. There’s no complete loss of awareness of the self? R.A. No. No loss of self-awareness . . . Or in the reverse experience, when one feels that the universe, so to speak, invades us, there is a joyous sense of acceptance without any fear of losing oneself. M.L. What would be the difference, if any, Dr A., between your definition of the spiritual Self and Jung’s definition of the Self? R.A. There is a marked difference. I gave three lectures in Italian on Jung and Psychosynthesis, in which I have dealt with this, but I can give you some points. For Jung the Self is a ”psychological function”, a “point between the conscious and the unconscious”, and he doesn’t attribute to it any transcendent reality. He sticks to the empirical standpoint – the agnostic standpoint – and this shows that he has not had the genuine spiritual experience of the Self. If he had had, he’d speak in a different way. He considers the Self to be the result of a psychological process, of “individuation”. It is not for him a living Reality which is latent but of which we can become directly, experientially aware. Thus there is a great difference between the two definitions: according to one the Self is a psychological concept; according to the other it is a living reality – even more, a living Entity. The Self is the Subject par excellence. Jung’s Self is merely “psychological”; the spiritual Self is a transcendent, glorious reality, and one can have direct, immediate proof of it, that is, one can experience It. You know the happy expression of Bergson – “les donnees immediates de la conscience”. The awareness of red or green or blue are “donnees immediates de la conscience”. You cannot demonstrate scientifically the existence of blue or convey it to someone born blind. But there is no problem in the experience of blue. There is no problem in experiences of ethical awareness or aesthetic awareness or in heroic awareness. And there is no problem, and no need of proof, in experience of the Self. “The Self is an ontological Reality, a Being, and is on Its own level a stable Center of Life, from which It radiates energies. The personal self, the self-conscious “I” is a projection or reflection of the Self into the normal human level. An analogy may help understanding, although, as are all analogies, it is only approximate and partial. The relationship between the spiritual or transpersonal Self and the personal self, or “I”, can be compared to that between the Sun and a planet, let us say the Earth. From the sun emanate many and powerful radiations, which affect the planet and all the living beings on it, producing the conditions for evolution, development, growth. In the same way the Self projects a small portion, a spark, a tiny center of self-consciousness. By opening itself consciously to and recognizing the radiation from the Self. “This personal self is the human core at the ordinary level, the level of personality. It is the centre of our ordinary psychological functions: mind, emotions, sensation, imagination, etc. Likewise, at our higher human level there is an entity that is at the centre of the higher functions – artistic inspiration, ethical insight, scientific intuition. 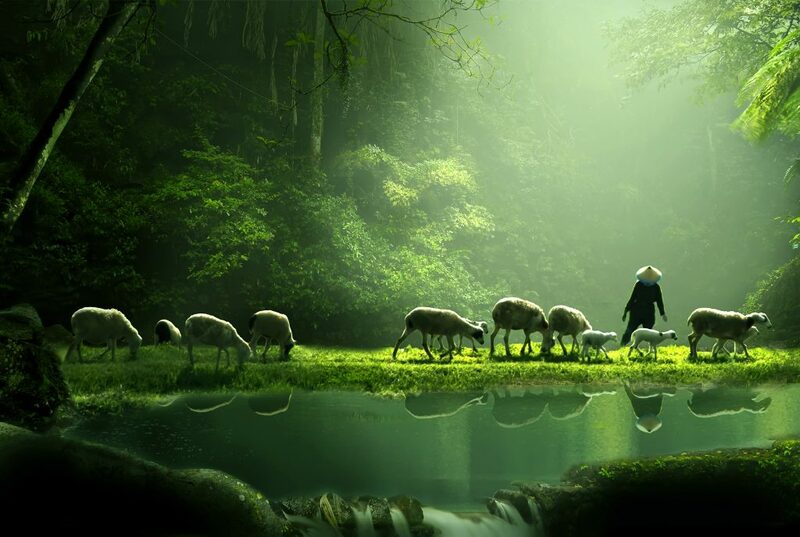 “The Self, the “Soul,” the true spiritual Center, is, in both nations and individuals, superconscious. It does exist, but in a realm or at a level that is ordinarily above the reach of the personal consciousness. Its reality is revealed by its manifestations, which usually occur only on exceptional occasions, but which are so vivid, potent and of such a different quality that they bear a sure proof of their higher origin. “The question of the individual or spiritual Self is a more difficult and obscure one, but it has been somewhat elucidated by the modern studies on the superconscious psychological activities which are going on in the human soul. 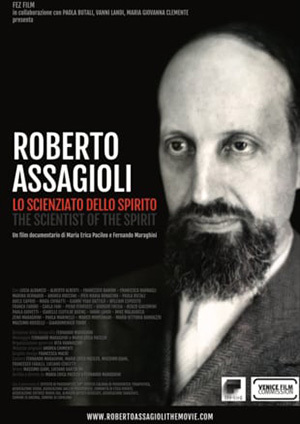 Assagioli is claiming that the soul level, or “heaven”, is not merely a symbolic picture but a real existential sphere to be encountered and explored. “Before completing our examination, albeit brief, of the superconscious, we need to highlight the distinction between the superconscious and the spiritual Self as shown in our diagram of the psychological make-up of a human being. This distinction is often omitted because the contents of the superconscious, particularly at its higher levels, are very close to the Self and therefore share its characteristics. 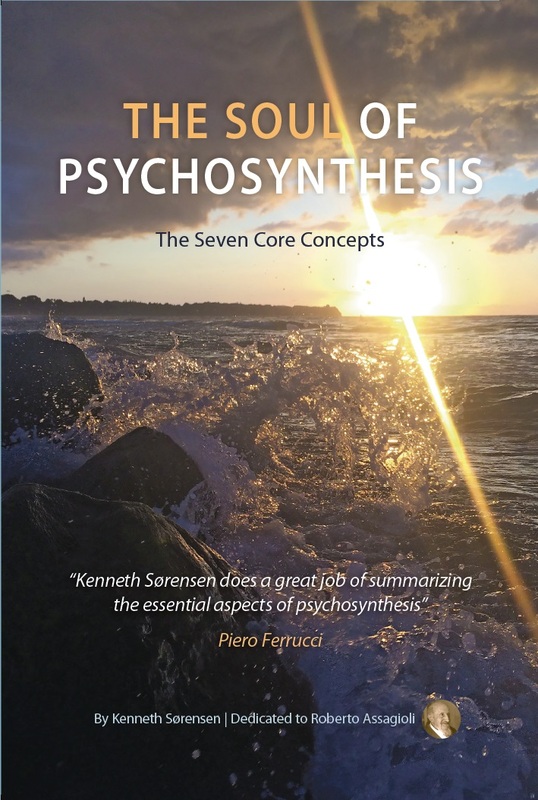 But there is a fundamental difference: in the superconscious there are elements and different types of active, dynamic, changing contents which are involved in the overall flow of psychological life. The Self, on the other hand, is stable, unmoving, unchanging, and for this reason it is different. It is important to keep this distinction in mind, not least because this sense of permanence and stability, however diluted and concealed it may be, is transmitted from the spiritual Self to its counterpart, the conscious personal ‘I’. It is this that gives us our sense of permanence and personal identity throughout all the changes, alternating states of mind and changing contents of our awareness. However much we identify ourselves with different ‘roles’, with the various subpersonalities and emotions successively occupying the realm of the conscious mind, we know that we are always ourselves. Even if at times we might say, ‘I no longer recognize myself’ when some significant change occurs in life, what this actually means is: ‘The thing I identified with before has disappeared and I now identify with something else.’ But even to say ‘I no longer recognize myself’ implies, paradoxically, an obscure, hidden sense of underlying continuity. Otherwise, there could not even be a sense of not recognizing oneself, in that this is based on a comparison, a conflict, between the previous state of consciousness and the present one. Thus the essential characteristic of self-awareness is continuity and permanence, but the self-awareness of the conscious ‘I’ is only a poor reflection of the enduring, immortal essence of the spiritual ‘I’, the Self. The Self in the diagram is placed at the highest point on the periphery of the personality, partly inside it – as it is in a continuous relationship with the superconscious – and partly outside of the personality. This indicates its dual nature: individual and universal at the same time. This seems like a paradox, incomprehensible to the mind, to personal consciousness, yet it is a state of consciousness which can be, and is being experienced, lived, at certain moments of heightened awareness when a person is lifted out of the limitations of ordinary existence. In such a state one experiences a sense of enlargement, limitless expansion and a sense of being pervaded by an intense joy and bliss. It is in essence a sublime experience which cannot be expressed in words. “The third direction is the ascendant direction, towards the levels of the superconscious, the transpersonal levels. This expansion of consciousness can come about in two different ways. The first consists of raising the centre of consciousness, the ‘I’, to those levels; the second has to do with opening oneself to the influence of energies coming down from the higher levels. “The conscious self is not only generally merged in the ceaseless flow of the psychological elements, but it often seems to disappear and sink into nothingness at such moments when we fall asleep, when we lose consciousness in a swoon, or when we are under the effect of a drug or the influence of a hypnotist. And when we awake, our self mysteriously reappears and does not know how or whence: a fact, that, if closely considered, is truly baffling and disturbing. This, and many other considerations too numerous to mention at present, lead us inevitably to the admission that “behind” or “above” the conscious self there must be a permanent spiritual Centre, the true Self. This spiritual Self is fixed, unchanging, unaffected by the flow of the “mind stream” or by bodily conditions; and the personal conscious self should be considered merely as its reflection, its projection into the field of the personality. (1) The apparent duality, the apparent existence of two selves in us. Indeed, practically it is as if there were two selves, because the normal self generally ignores the other, both actually and theoretically, even to the point of denying its existence; and the other, the true Self, is latent and does not reveal itself directly to our consciousness. (2) The real unity and uniqueness of the Self. There are not really two selves, two independent and separate entities. The Self is one; only it manifests itself in different degrees of consciousness and self -realisation. “M.L. What is the relationship of the soul and the personality? Let us consider the word soul. Keyserling and other modern writers use it to indicate the emotional nature or aspect of the personality. 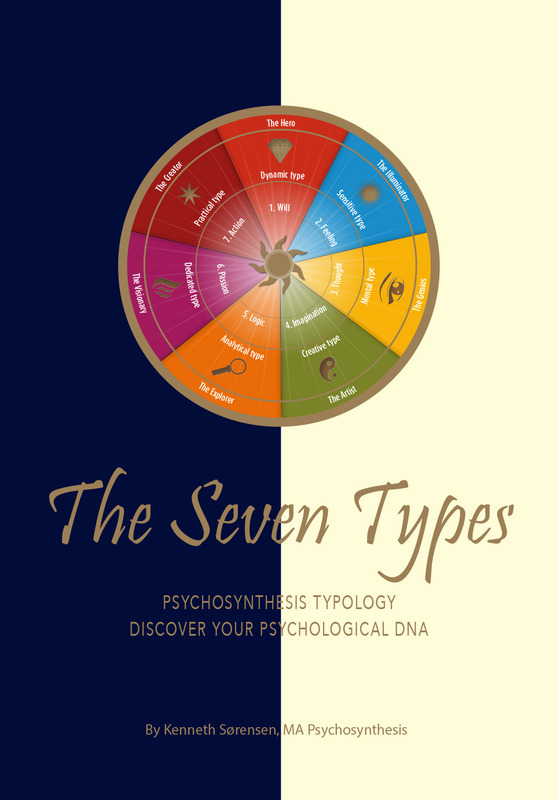 Jung’s definition of soul is “a definitely demarcated function – complex that is best characterized as a ‘personality’” (Psychological Types, p.508). In the Christian usage, the word soul is used in a rather loose way. In some cases it connotes the immortal soul, made “in the image and likeness of God”, but in others it corresponds more to the emotional nature, for instance, in the phrases “My soul is sad”, “My soul invokes God for help”, etc. Evidently this is not the immortal soul but the emotional part of the personality. This brings us back to the Ego and the Self, because the human personality is characterised by the possession of self-consciousness, or, in other words, the I or Ego is the core of the personality. Now the Ego should be regarded as a projection or a reflection of the spiritual Self. Therefore essentially it partakes of the nature of the spiritual Self, but it is so much veiled by “the 70,000 veils of maya”, that is, by its multiple identification with all kinds of psychic contents (sensations, drives, emotions, thoughts, etc.) that it has lost all remembrance of its origin. “The individual influx descending from the Ego (soul) to the personality may be compared to the solar rays which reach the earth. These rays are variously intercepted, deflected and extracted according to the greater or lesser purity and transparency of the atmospheric strata through which they pass. Thus the subtler ultra-violet radiations are for the most part intercepted in the upper parts of the atmosphere even when this is pure. When there are clouds and mists, the luminous and calorific rays also are partly arrested. When the rays reach solid objects on the earth the reaction is different, according to the nature of the objects. Lustrous objects reflect the rays an opaque objects absorb them; colored objects absorb some radiations and reveal others an so on. Very similar is the fate of the spiritual and higher mental radiations emanating from the higher self, and descending through the mental and emotional levels of the personality to the objective consciousness functioning through the physical brain. “Radiation and magnetism appear at first to be contradictory. Radiance, however, evokes magnetism, it effect is magnetic and the recipient of radiation is attracted towards the radiating centre or source. A clear example of this is the response of a plant to sunlight; the sun radiates light to the plant, which is attracted and reaches up towards the sun. The radiation of the sun is thus magnetic. “There is an important point that needs clarification because there is great confusion among psychologists about it. A basic difference exists between superconscious activities and functions, even of the highest order, and the Self. In the superconscious intense activities are going on, it is creative, the Self instead is a pure center of spiritual awareness, not active in itself; it projects dynamic influences but remains motionless, we might say. (Aristotle called God the “Unmoved Mover”.) Another image is the sun, which projects rays and streams of energies without “descending” from its position, without coming nearer the earth. Many have had high spiritual experiences, either by raising the center of consciousness, the Ego, up to superconscious levels, or by opening the field of personal consciousness to the inflow of superconscious contents (inspiration). But that is not the realisation of the spiritual Self. The former is typical of poets, writers and artists. “Identification with higher and higher aspects of the superconscious is useful, as it can constitute a ladder toward the Self” (Assagioli, The Superconscious and the Self ). 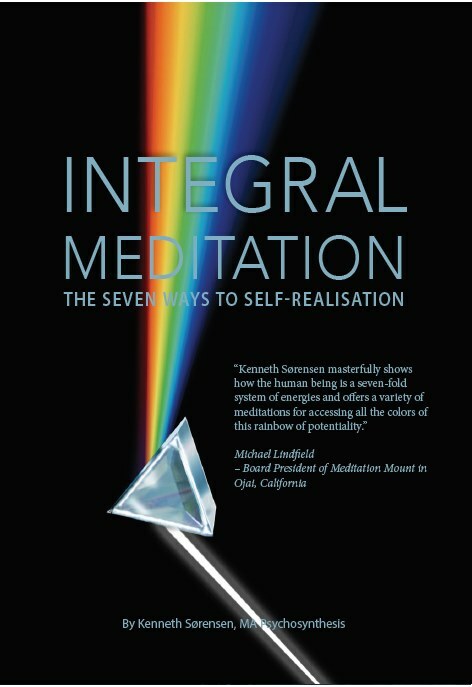 It seems that Assagioli always considers Self-realisation to be a process that goes through the superconscious and not the lower unconscious and his point is: “The contents of the superconscious, particularly at its higher levels, are very close to the Self and therefore share, to some extent, its characteristics” (Assagioli, Transpersonal Development, 1993: 29). “When we have either flashes of spontaneous illumination, or when we reach, through our inner work of aspiration, meditation and contemplation, a certain decree or level of spiritual conscious­ness we must be aware not to believe to have attained the full consciousness of the soul, to be really living as souls. The most extreme expression of the identity of the human spirit in its pure and real essence with the Supreme Spirit is contained in the central teaching of the Vedanta philosophy: “Tat Twarn Asi” (Thou art That) and “Aham evam param Brahman” (In truth I am the Supreme Brahman). “When we consistently consider ourselves and others as being really Souls, which are trying to manifest themselves through more or less imperfect, blind and rebellious personalities, and that this is the most important and immediate purpose of our being here, as far as we are concerned, and if, further, we see that souls are not separate and isolated entities, but that they are essentially one with the oversoul, ever trying to realize this oneness through group-consciousness and group activity, then our attitude and our behavior will radically change. We shall sense behind every individual the imprisoned soul, and our recognition and love will flow naturally towards it; we shall realize how futile and fundamentally wrong are criticism, disparagement, jealously and antagonism and how the only right and rational thing to do is to cooperate with that soul, through pouring out our love and through understanding its problems and its struggles. “The transpersonal Self is “outside” time and above it. It exists and lives in the dimension of the Eternal” (Assagioli, 1973: 6). The great, the supreme paradox: the “selfless” Self. It is all a question of “identification.” If one identifies “self” with the empirical personality, then the attitudes are 1) or 2), according whether one is a mystical or not. If one identifies oneself with the emerging spiritual consciousness and transfers the self identity to each higher level, then 3). Advantages and drawbacks of each solution. It does not matter much: quote Keyserling who, in his usual paradoxical and extreme (exaggerated) way says: (See from Suffering p. 245-246). What is important is to recognize that the 3 attitudes are 3 ways of realising a same glorious Reality, of attaining the same sublime Goal.